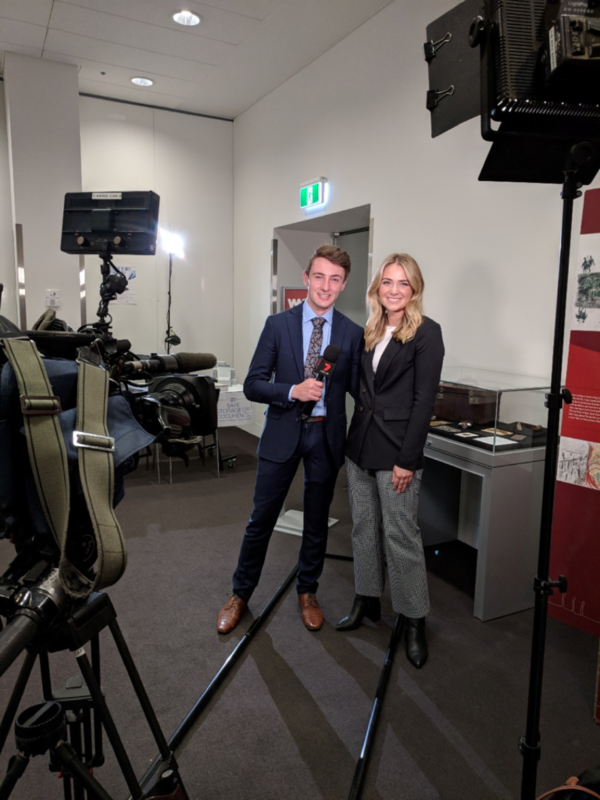 Journalism student Harrison Johnstone completed an internship at Channel 7. Arts internship units consist of a workplace component and an additional coursework component. At an undergraduate level internships can be taken for 6 credit points (approximately 77 hours in the workplace) or 12 credit points (approximately 144 hours in the workplace). At a graduate level, internships are taken for 12 credit points. Internships can be taken domestically or internationally, and can be student sourced or Monash sourced (sourced by the Arts Faculty). Some specialised internship opportunities are offered directly through the related course or school study area (and not the WIL team). For more information about these internships refer to the respective course or school study area: Politics and International Relations, Journalism, and Master of Interpreting and Translation. Once we have received your application, if successful you may be called in for an interview after which you will receive confirmation of your success. All internship students participate in an internship induction workshop. Undertaking an internship can make you job-ready by letting you put the skills you have learned during your degree into practice in a real-world setting. An arts internship can make you more employable while also earning credit towards your degree and enhancing your coursework and research skills. Undertaking an internship helps you to build experience and develop your professional skills. This helps you to find suitable employment after graduating. An internship is often the first step of your career, and doing one while studying is a great way to signal to potential employers that you know the realities of working in a professional environment and can contribute from day one. Many employers that we work with end up hiring interns upon graduation, or provide references, connections and guidance to help them find a job.